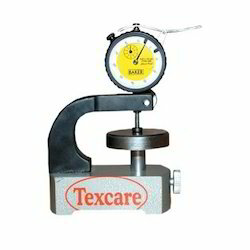 Leading Manufacturer of drop tester, crock meter and thickness gauge from New Delhi. 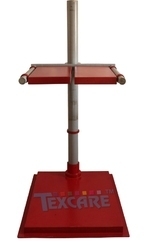 TEXCARETM Crock Meter is used to determine color fastness of dyed or printed textile or leather against rubbing, either under dry or wet conditions. Digital Thickness Gauge is a state of the art Thickness Gauge. These gauges can easily detect the thickness of the nonmagnetic coating on a magnetic substrate or an Insulating coating on a nonmagnetic conductive substrate (Non-Ferrous) utilizing on integrated Probe. 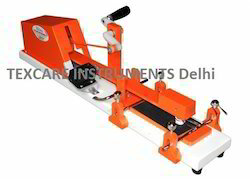 We provide with inbuilt keys to restoring calibration at any place, it facilitates user to calibrate instrument using standard foils of different thicknesses. These gauges are facilitated with features like fast scan mode, file compare and color waveform which increase their utility quotient in varied testing exercises.